The goal is to contribute to new business ventures in the region Värmland and to give companies an international lead in bioeconomy. Lignin is a by-product from the production of pulp. 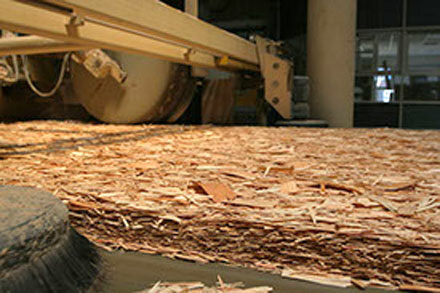 When the world is turning to a bio-based economy, lignin is increasingly emerging as a commodity with great potential. At the LignoCity testbed, which was launched in 2006, companies can convert lignin into different products. RenFuel, who recently announced their plans to launch the world’s first lignin plant for biofuels together with Preem, is one of the companies which has used the testbed. LignoCity is today the only plant in the world that can produce tailor-made lignin in sufficiently large amounts for scaling up. Now a new venture is being made to further develop LignoCity and help startups as well as small and medium-sized companies to develop new lignin-based and low-carbon business solutions. This includes raising awareness of the opportunities associated with lignin, verifying business ideas and finding funding. The overall goal is to shorten time from idea to market introduction. The project is also expected to contribute to business startups in the region Värmland as well as to develop the existing business community in the region. “By adding a clearer focus on entrepreneurship and business development, we hope that today’s world-leading testbed will be developed into an internationally competitive cluster for innovations and new business opportunities with lignin as a base. Lignin’s value chains are quite undeveloped today and companies have the chance to get an international lead,” said Per Tomani, business developer at RISE. In addition to RISE, Paper Province, Kristinehamn Municipality, Värmland Region, Karlstad University, Nordic Paper and RenFuel participate. “It’s a great project. We promote the development towards a more low-carbon economy and the transition to a biobased society,” said Paul Nemes, vice president of Paper Province. “Fantastic! This shows that Kristinehamn’s innovation strategy is quite right, even in a national and international perspective,” said Madelen Richardsson, president of Näringslivssamverkan i Kristinehamn AB.